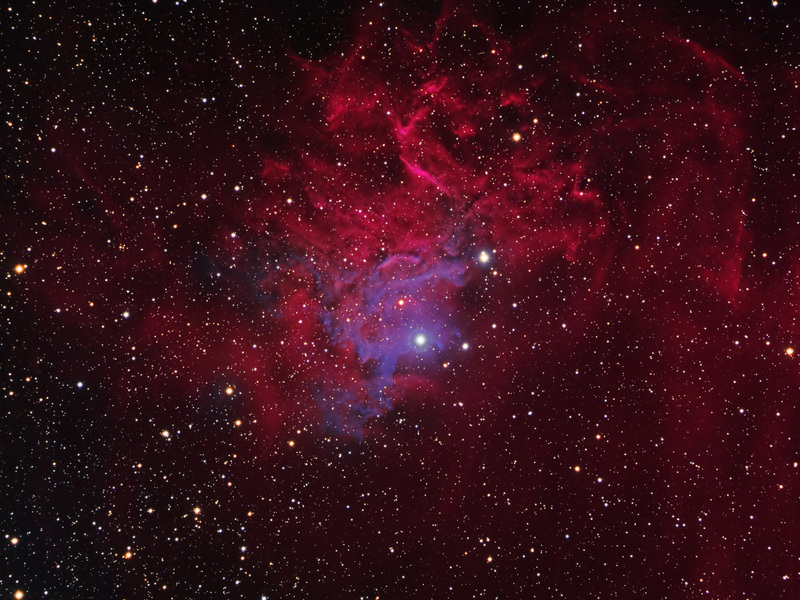 IC405 also known as the Flaming Star Nebula, SH 2-229, is an emission/reflection nebula in the constellation Auriga, surrounding the bluish star AE Aurigae. It shines at magnitude +6.0. Its celestial coordinates are RA 05, 16.2 Dec +34° 28′. It surrounds the irregular variable star AE Aurigae and is located near the emission nebula IC 410. The nebula measures approximately 37.0′ x 19.0′, and lies about 1,500 light-years from Earth. The nebula is about 5 light-years across.